Murat Ethem Eldem has over 24 years of experience, with extensive expertise in business management, organizational development and consulting, digital services innovation, digital product marketing and management. He is a disruptive launcher of many first platforms and solutions globally. Murat Etham was recently appointed Senior Director heading Etisalat Digital Payments, a business unit of Etisalat Digital that is helping to drive digital transformation of traditional commerce by enabling enterprises and governments to become smarter through the use of the latest digital payment technologies. The unit focuses on providing payment solutions in various domains, including electronic payment platforms, mobile payment, digital payment kiosks, managed POS, and Mobile payment devices. Digital Payment is successfully supporting almost all mobile devices in UAE, a portfolio of leading banks, and governmental entities for their payment solution needs. Previously, Murat Ethem was managing the M2M and IoT business of Etisalat UAE for the past three years. Prior to joining Etisalat, he was responsible for all corporate mobile solutions including M2M/IoT, connectivity services, premium messaging, location based services and enterprise applications at Turkcell, Turkey’s leading mobile operator. Ethem joined Turkcell as Director for Organizational Development and was later promoted to Group Coordinator. He climbed the corporate ladder taking responsibility for innovation governance, Consumer VAS, and Partnership Management at Turkcell. At the start of his career, Ethem worked at local management consulting companies for executive search, management assessment, training, and organizational structuring. Ethem also worked at the leading professional services firm PwC (PricewaterhouseCoopers) Turkey to manage large organizational development projects for the public and private sector. Ethem graduated from Austrian High School in Istanbul and completed his Bachelor of Arts and Master of Business Administration BA at Marmara University, Turkey. Didem has 23 years of experience as an executive specialized in Organizational Leadership and Team Development for both national and multi-national companies. She founded Sahneler Training and Consultancy Company in 2004 and partnered with Linkage Inc. in 2008. She is the President of Linkage Germany and Turkey being responsible of 7 countries. Before Sahneler, she had worked as Human Resources Head at Global Menkul Degerler, Doganonline and Superonline. Didem is a graduate of Bogazici University with a Degree in Psychology. She has an Executive MBA from Istanbul Bilgi University in association with Manchester Business School and is an Industrial/ Organizational Psychologist and licensed Psychodrama Co-Therapist, and Psychotherapist specialized on groups, relationships and families. She has developed and delivered Cultural Change Projects, Leadership and Management Development Programs, Team Effectiveness Programs, Coaching Programs, Human Resources and Organizational Development projects and Strategy Workshops for more than 10.000 professionals and also managed consultancy projects in Leadership Development, Human Resources and Organizational Development. As an executive coach, she has coached more than 1000 professionals to achieve the desirable changes and developments in their leadership journeys and in their organizations. She also has worked as a Faculty member at GILD (Global Institute of Leadership Development).She had been Board Member, Member of Training Commission and Member of Industrial/Organizational Psychologist’s Commission of the Istanbul Branch of “Turkish Psychology Association”.Her professional practice is based on the Integrated Systemic Thinking Principles. Her areas of expertise in the fields that she serves include change and transition leadership and high performance teams and leadership. 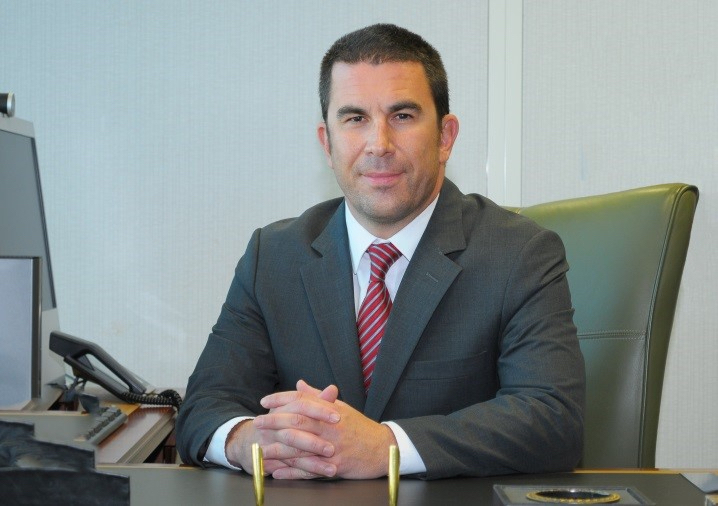 Matthew Bebawy is director and CEO of Choice Accountants Pty Ltd and Choice Australia Real Estate Pty Ltd. He is a CPA with a Bachelors Degree in Commerce majoring in Accounting and Business Law, and a Chartered Tax Advisor with 11 years of experience at large corporate accounting firms and in international real estate. Mofid Bebawy is CEO of Choice Migration Australia PTY LTD, with more than 30 years management experience, and has been a finance director for over 25 years. He has a Masters Degree in Professional Accounting and in Business Administration, and is a chartered tax advisor. A London Business School Graduate, Mentor of Change at Government of India's flagship Innovation Program in the country, Seasoned Management and Investment Professional and Currently Engrossed in investing and working with Start-ups around the globe. 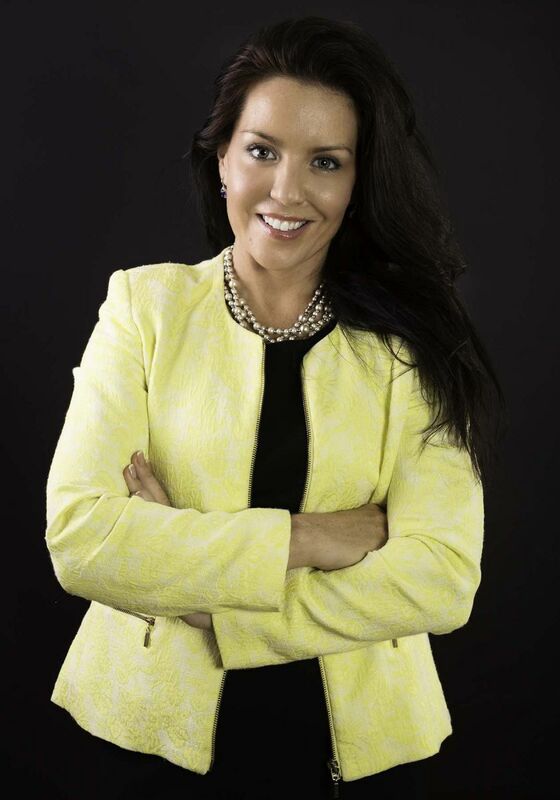 Jaye Connolly-LaBelle serves as chairman and chief executive officer of RippleNami, Inc., a global technology company that is redefining blockchain and mapping. RippleNami is dedicated to connecting to the unconnected through its proprietary, revolutionary visualization platform that consolidates big data, easily providing organizations and users with information that matters. In just under six months, RippleNami positively impacted 30+ million users (including farmers, women, children, refugees and veterans) in Africa and the United Kingdom. Scaffidi Restaurant Group is Frank’s family’s business, which he has helped advance from a small, home-like setting restaurant to a multi-faceted food service industry over nine years. Under his management, the business has seen consistent growth each year. Frank is also a business consultant under his company, DiCar Consulting, which specializes in new business start-ups and expansions. Aside from his business ventures, Frankie is deeply involved with the community around him, serving on a multitude of boards, committees, and commissions throughout the Ohio River Valley Area. 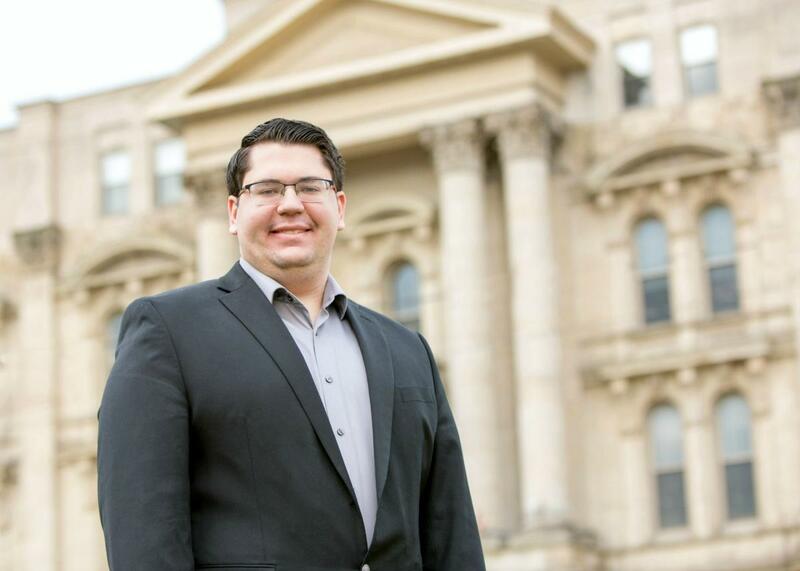 He is Chairman of the Jefferson County Democratic Party, and is the youngest Democratic Chairman in the State of Ohio. Collaborative, motivated, and inspiring leader who specializes in turnaround opportunities and groundbreaking market share growth. Thought leader who cultivates personnel to achieve personally and professionally by example. Ersoy has been representing Bloomberg HT in Dubai since May 2016 and makes live broadcast from Dubai to Turkey 3 times a day. He gives financial market update to investors about oil prices, GCC markets and Asian markets. The topics he covers have a wide range starting from stock markets, currencies, commodities, fixed income , including mergers and acquisitions, business news to social life news.He also take guests for interview to talk about financial markets or some interesting sectors which are also important for Turkish audience. Charlotte Hammerbeck is Director in the Communications and Government Affairs function at GSK (GlaxoSmithKline). Charlotte currently oversees all aspects of events and meetings technology for the organisation and previously headed up the Global Meeting Management Centre of Excellence for the company. Prior to working for GSK, Charlotte has held a number of positions in IT, communications and event management, amongst these being as UK Communications Manager for Sodexo and global configuration lead for the GSK implementation of a global room and video conferencing booking tool. Charlotte holds a Bachelor of Arts degree in French and Russian from Bristol University. With over forty years of senior management experience, a large part of it as the head of large organizations, I currently advise organizations on Operational Excellence. In addition, I teach at Management Schools, and train staff in large organizations.I am also a Team Leader and Assessor for several award programs. Started my career as a Psychologist, then transferred my academics into Consumer Understanding. Worked in Unilever as a Consumer / Market Insight manager. At Unilever Pakistan I have been a Facilitator for Total Quality Management- a company based program .After 17 years at Unilever, I moved out to start my Market Research agency and managed it for 15 years. Currently I am taking Consultancy projects. After Oget Kantarci attended Koc High School, he has been graduated from Koc University in 1999. He began his professional career at Peugeot Corporate Sales Department. He continued his career as Turkcell Corporate Sales Manager and as Corporate Sales Director after than. Mr. Kantarci began to work in the e-commerce industry with Estore in 2005 and continued as being Deputy General Manager of Otto Group Turkey. In 2014, he became the Commercial Director of eBay Turkey, GittiGidiyor and since 2015 August he has been the General Manager of GittiGidiyor. Oget Kantarci has been the Chairman of the TOBB E-Commerce Sector since October 2016, and is also a member of TÜSİAD. Gladys Kong, CEO of UberMedia, is an expert in mobile technology and data solutions. Since joining UberMedia, Gladys has been responsible for assembling a best-in-class data science team and pivoting it from a social media app developer to a leading mobile data and analytics company. Under her leadership, Fast Company and The Wall Street Journal have recognized the organization as a top leader in innovation. Gladys, an entrepreneur and founder of multiple tech companies, holds numerous patents in the mobile technology space and has been recognized for her work in digital mobile innovation by Business Insider and Mobile Marketer. 26 years successful experience providing fiscal, strategic and operations leadership in uniquely challenging situations. Dynamic, results-oriented leader with a strong track record of performance in turnaround and high-paced organizations. Utilize keen analysis and insights and team approach to drive organizational improvements and implementation of best practices. Superior interpersonal skills, capable of resolving multiple and complex (sales, human resources, legal, financial, operational) issues and motivating staff to peak performance. Mr. Mehmet Mengenli, who is currently working as Director of Telco channels and Partnerships in OSN for MENA region has high-level knowledge and expertise in Business Development & Marketing with +18 years of experience in leading telecoms, financial services, consulting and media companies across Eastern Europe, MEA and APAC regions. Tunc Noyan is a strategist, experienced innovation leader and solutions-oriented executive with more than 20 years of experience in IT domain, within global organisations such as Microsoft, IBM and Fiat. He has co-founded the company ValuesBox, where they define the mission to make the world a better place for us all, and work with a community of entrepreneurs, investors, corporates and institutions and act as a catalyst for co-innovation. He brings expertise and unique insights in strategising and leading digital transformation and change management projects in this ever-faster changing world. Barıs Ozistek led the sale of two successful internet companies in the SHR Group, which he joined as CEO in early 2011, to foreign investors. Since 2013, he has been serving as CEO of Netmarble's EMEA region, one of the world's largest gaming companies. Mr. Özistek is one of the founders and a board member of “StartersHub”, the largest venture building program that supports Startups in Turkey. Mr. Özistek has worked for several companies at top executive positions such as Adecco and Bureau Veritas in Turkey, Caspian Sea and Middle East & North Africa region. He is one of the founding partners of “Hugent”, a well-known HR company in Turkey. He is also one of the investors of various technology ventures. He holds an MBA in Finance and Marketing in addition to his MSc degree in Energy and a Bachelor of Science in Mechanical Engineering from Yildiz Technical University. After studies on multiple trainings of management, sales and marketing, he completed an advanced leadership programme from IMD Business School / Switzerland. Barış Özistek has acted as the President of Turkish Digital Games Federation (TUDOF) and also board member of Turkish Informatics Foundation. In addition he has roles among several NGOs and associations like 1907 Fenerbahçe Association, Entrepreneurship Foundation and TUSİAD (Turkish Industry and Business Association). Prof. Ugur Zel is an experienced academics with over 20 years of research, training, consultancy and coaching experience. He received his PhD degree in 1999 from Hacettepe University/Turkey on management and did a doctoral research at Cranfield University/UK as a Chevening Scholar. He is a certified EFQM award assessor and trainer since 1996. He has also a wide range of experience on design and delivery of “leadership development programs” for large-scale global companies. He is also a certified instructor of "Seven Habits of Highly Effective People" and "Principle-Centred Leadership" programs of Covey International Inc. He has also 10 years of experience on design and delivery of Assessment/Development Centres and takes part in advisory boards of big scale companies on promotion and employee development projects. He is an accredited “Executive Coach” from International Coaching Federation (ICF) with ACC batch. He is the author and co-author of seven books and numerous articles on leadership, human resources management and strategic management. He is the co-owner of "Ethiquality® Model" which measures the ethical maturity level of companies. Prof. Zel is a professional member of the “Human Resources Management Association”, “European Business Ethics Network”, “International Coaching Federation” and “Turkish Business Council Association”.